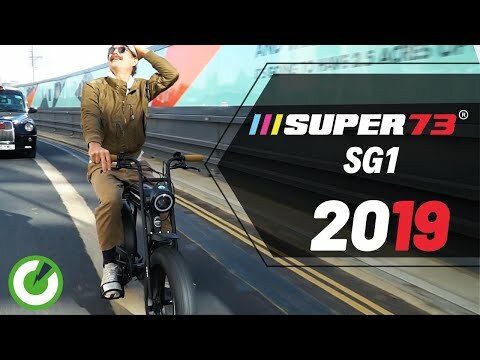 Today Karta Healy is taking you for a spin through London reviewing newest member of our 2019 Fully Charged electric bike stable: the Lithium Cycles “Super 73 SG1”. Available in one size, this ebike uses 20″ x 4.25″ slick fat tires, making it one of the coolest electric bikes you can find on the market right now. The #SUPER73 is a high performance, long range vintage-looking electric bike. With no license or registration needed, this e-bike has an average battery range of 35-40 miles to the charge. Complete with a powerful retro headlight, rear brake light, and a sturdy cargo rack, it’s a perfect and unique commuter vehicle or weekend city cruiser. Pack your gym bag, box of tools, and you’re set from morning to night.